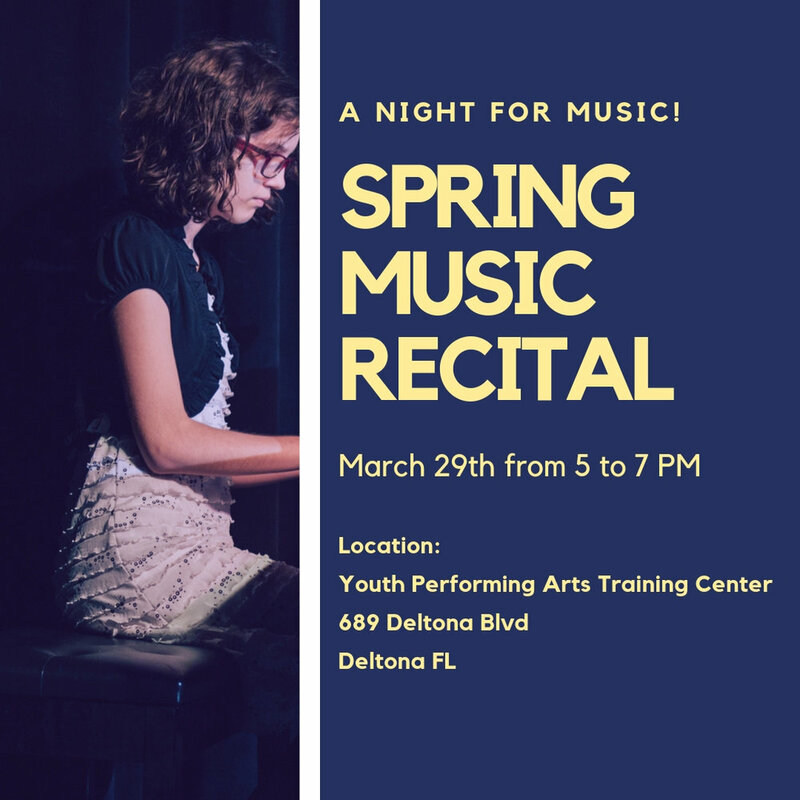 Come check out our 2019 Spring Recital and support amazing talent! We will be hosting this event at the Youth Performing Arts Training Center on March 29 from 5:00-7:00 PM. We are very excited to see everyone! Feel free to bring your family and friends! Check out the information below to RSVP and join us for this amazing event! Our music recital is an event that gives our students the opportunity to showcase their progress throughout the year. Family, friends, and others are invited to come and encourage these students to continue their dedication and commitment to music.